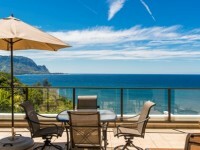 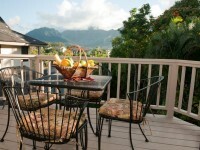 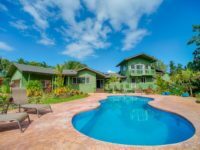 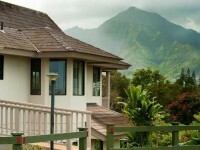 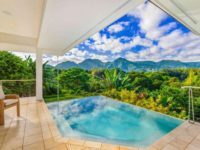 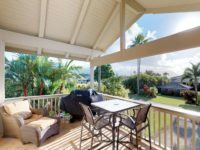 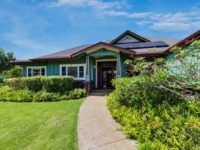 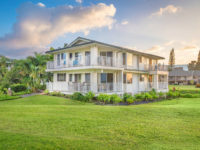 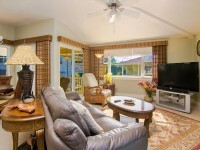 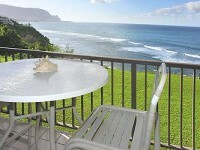 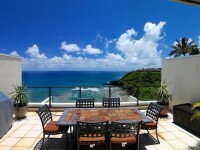 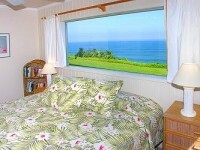 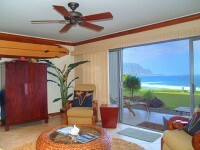 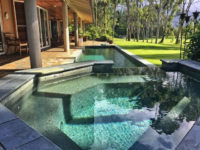 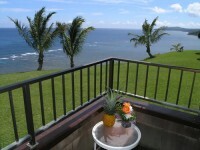 CONDO RENTAL PRINCEVILLE KAUAI: Puu Poa #309 offers a beautiful, luxurious place to relax and unwind after a day exploring the Garden Island. 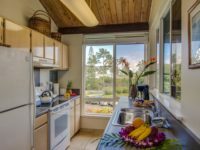 Sit on the lanai and watch the surf, as the sun sets into the ocean and the sky turns magnificent colors,you will know you are in Paradise. 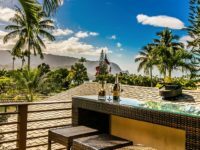 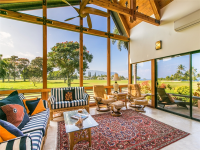 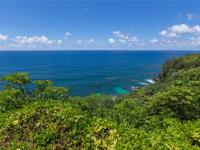 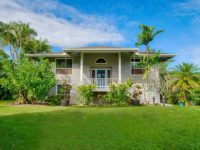 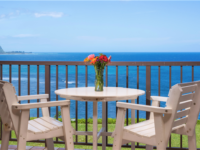 This luxury Condo offers spectacular ocean, mountain, and sunset views as well as whale and dolphin watching from its two huge lanais. 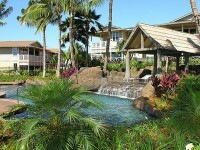 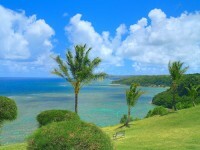 For your convenience you will find a pool, tennis courts on-site, and a trail leading to beautiful Hideaway Beach below. 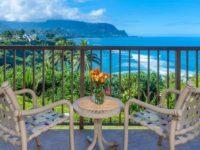 This oceanfront condominium is 1400 square feet of up-scaled living space, beautifully furnished with solid teak, designer furniture and original art. 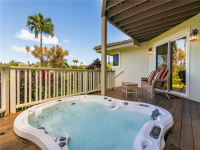 The master bath is marble and glass block, with a jacuzzi tub and dual showers. 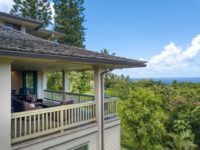 The master bedroom has a four poster bed and the same spectacular views as does the living room, dining room, and kitchen, which is fully-equipped with gourmet cook and dinnerware.